Size: * 7 lb. 14 lb. 28 lb. 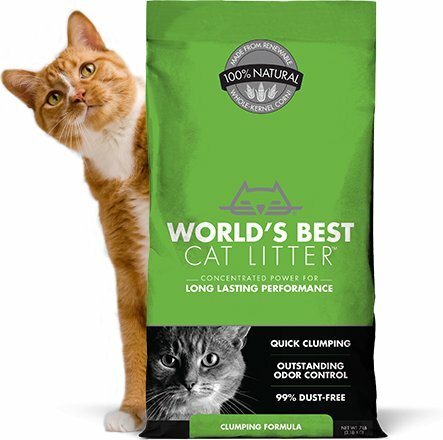 The messiest job in cat care just got easier, with Clumping Formula, the flushable* cat litter with outstanding odor control and tight clumping ability. This quick-clumping, easy-scooping solution is flushable and septic safe, so the dirty litter isn't filling your trash. Plus, it gives you maximum odor control while minimizing dust and tracking. Ideal for homes with one or two cats.